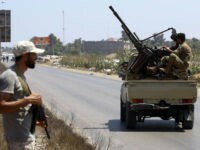 Al-Qaeda and the Islamic State (ISIS/ISIL) have deployed reinforcements to the legitimate government of Libya, the Government of National Accord (GNA), to prevent renegade Gen. Khalifa Haftar’s Libyan National Army (LNA) from conquering Tripoli, a spokesman for the warlord’s forces claimed over the weekend. 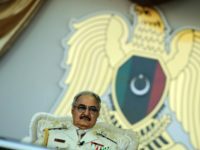 President Donald Trump recognized the “significant role in fighting terrorism” of Libyan Gen. Khalifa Haftar’s Libyan National Army (LNA) in a phone call with Haftar on Monday, potentially marking a shift from favoring the United Nations-brokered government to endorsing the warlord who controls most of the country. 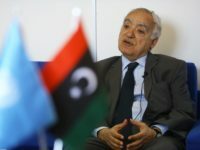 The head of the United Nations mission in Libya on Wednesday blasted “in the strongest terms” warlord Gen. Khalifa Haftar’s ongoing offensive to take the capital of Tripoli from troops loyal to the internationally recognized administration, accusing his eastern forces of committing “war crimes” with “indiscriminate” shelling overnight that struck densely-populated area. 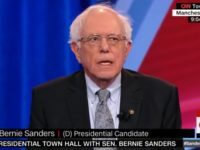 The World Health Organization said Thursday that 205 people have been killed, including 18 civilians, and 913 injured in two weeks of fighting in Libya. 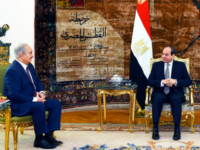 The office of Egyptian President Abdel Fatah al-Sisi reportedly expressed support for Libyan renegade Gen. Khalifa Haftar on Sunday during a visit by the latter, occurring as his troops continue an ongoing invasion against the internationally-recognized Libyan government in Tripoli. 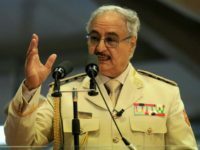 Renegade general Khalifa Haftar’s assault on the capital of Libya, prompting thousands to flee their homes, may result in a deadly outbreak of several infectious diseases if it blocks aid workers from importing medicine and forces the displaced to consume dirty water, the World Health Organization (WHO) warned on Friday. 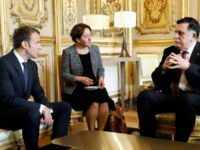 France, which owns oil assets in Libya, reportedly sidelined a European Union statement this week calling on the Paris and Moscow-backed Libyan strongman Gen. Khalifa Haftar to halt his eastern army’s offensive against forces loyal to the North African country’s internationally recognized government in Tripoli. 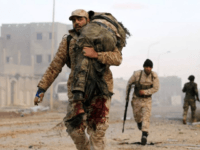 Fighting continued around Tripoli on Wednesday as forces loyal to warlord Khalifa Haftar and his Libyan National Army (LNA) consolidated their hold on the suburbs while the U.N.-sponsored Government of National Accord (GNA) dug in with barricades and machine-gun platforms. 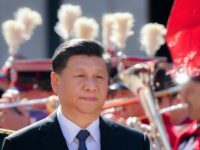 China’s state-run Global Times propaganda arm published an opinion piece condemning “the West” for the current instability in Libya on Tuesday, arguing that “the West couldn’t care less” about Tripoli and that Libya is “one of the biggest failures” of the Arab Spring. 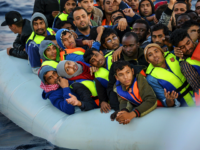 Jihadists loyal to the Islamic State reportedly attacked a stronghold Tuesday under the control of Libyan warlord Khalifa Haftar miles from Libya’s capital, Tripoli, where Haftar launched an invasion to overthrow the internationally-recognized government this week. 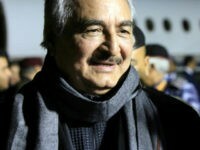 Libyan warlord Khalifa Haftar, commander of the so-called Libyan National Army (LNA), commenced his march on Tripoli Thursday, capturing a town only 60 miles south of the national capital and headquarters of the U.N.-backed, internationally recognized Government of National Accord (GNA). 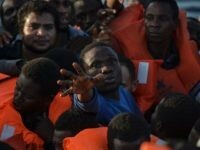 The GNA issued military alerts as skirmishes were reported between its forces and the LNA vanguard. 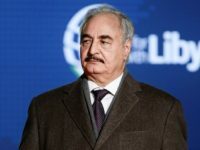 Libyan strongman General Khalifa Haftar said on Sunday that Libya’s seven-year political crisis would soon be resolved with a single government in charge of the entire country. 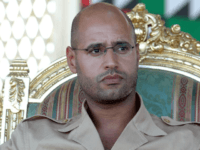 His so-called Libyan National Army (LNA) is advancing toward Tripoli, suggesting Haftar intends to either replace the late Moammar Qaddafi as a dictator or secure himself a position of great importance in a national unity government. Libyan military commander Khalifa Haftar, who has conquered well over half the country despite the international community formally recognizing an entirely different government as legitimate, was a guest of Saudi King Salman bin Abdulaziz in Riyadh on Wednesday. Details of their conversation are scarce, but Haftar’s first visit to Saudi Arabia seems like a significant event. 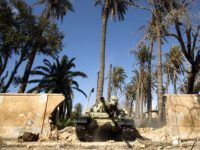 Libyan National Army (LNA) forces loyal to the Russian-backed strongman Gen. Khalifa Haftar reportedly killed civilians, including children, and set dozens of homes ablaze after capturing Libya’s southern city of Murzuq over the weekend, two lawmakers representing each of the rival governments asserted. 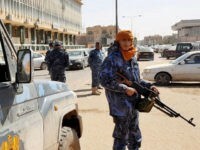 Libya’s National Oil Corporation (NOC) on Friday urged all factions to stand down from a military confrontation as tribesmen and government troops occupied different parts of El Sharara, the country’s largest oil field. 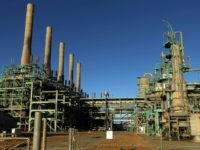 The Libyan government launched airstrikes on Sunday against a militia group that was attempting to seize the oil terminals at Ras Lanuf and el-Sidr, two key port cities for the Libyan oil industry. 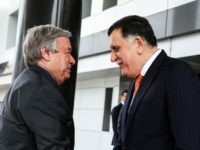 Representatives of the warring factions that control portions of chaotic Libya tentatively agreed to hold national elections on December 10 during a conference in Paris on Tuesday. They also resolved to make progress toward drafting a constitution by September. Gen. Khalifa Haftar, a military strongman who leads an army that controls most of eastern Libya, returned to his seat of power in the war-ravaged African country following rumors that he was dead this week as he received medical treatment in Paris for about 20 days. 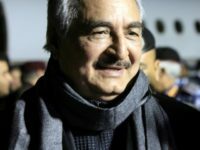 The potential absence of former Gen. Khalifa Haftar, a military strongman who leads the prominent Libyan National Army (LNA), could create a power vacuum and fuel the chaotic conditions that have allowed jihadist groups to remain active in the North African country, according to several experts. 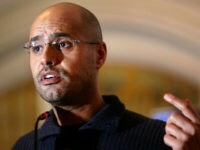 Supporters and former members of the regime of Muammar Qaddafi in Libya may be planning to organize for a chance to run the country again after son Saif al-Islam Qaddafi announced, through an intermediary, that he would run for president in 2018, Bloomberg reports. 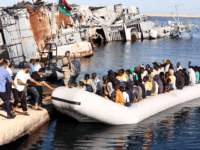 Libya’s strongest warlord has issued a warning to Italian ships being deployed to help turn back migrant boats inside the country’s territorial waters. 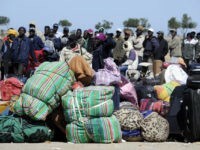 President Donald Trump’s administration is reportedly considering expanding the United States’ involvement in jihadi sanctuary Libya amid concerns that Russia’s foothold in the North African country is growing. 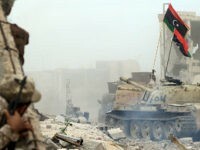 The Russian-backed chief of the Libyan National Army (LNA), former Gen. Khalifa Hafter, announced that his armed group has totally liberated the eastern city of Benghazi from jihadists groups, a move that extends the reach of the territory under his control, announced the Libyan strongman.